The only thing I remember from high school is cheerleading and being being horribly awkward. The big hair, no idea how to do make-up, and no fashion sense what so ever. 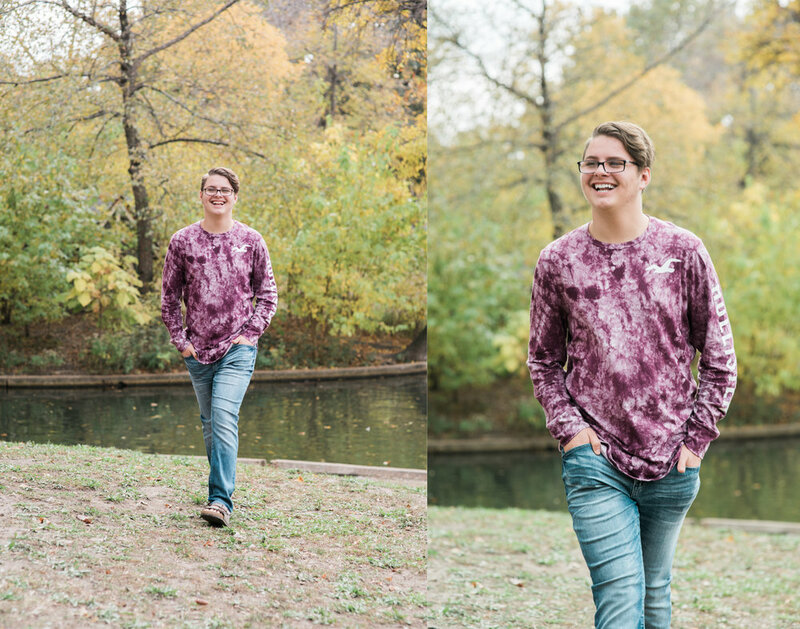 Meeting seniors this year has really blown my mind how handsome and runway ready they all are, but I have been having a blast with all of them. This time The Landing in St. Louis Missouri provided our back drop to show case Mr. Cameron. 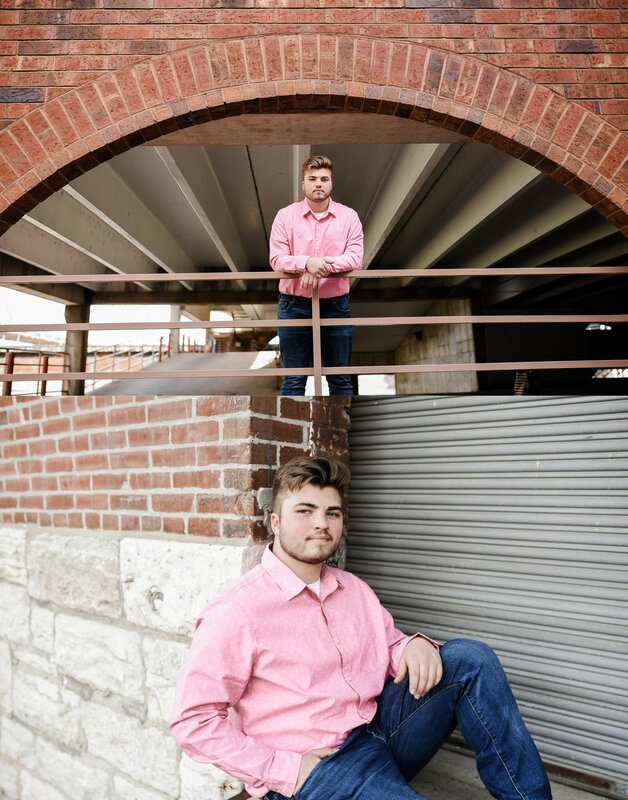 Cameron is looking forward to attending SIUE in the fall. 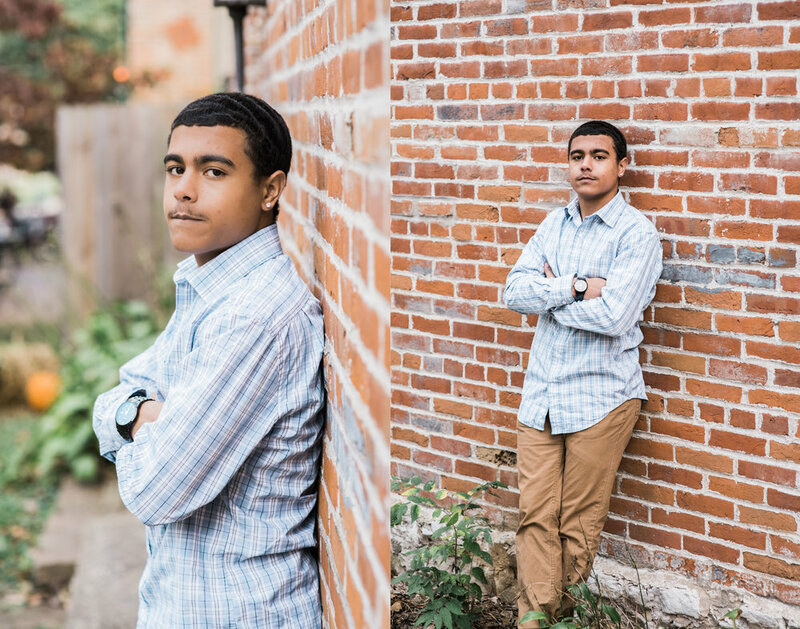 He plans to pursue engineering, but until then is rocking the last 19 days of his high school career. 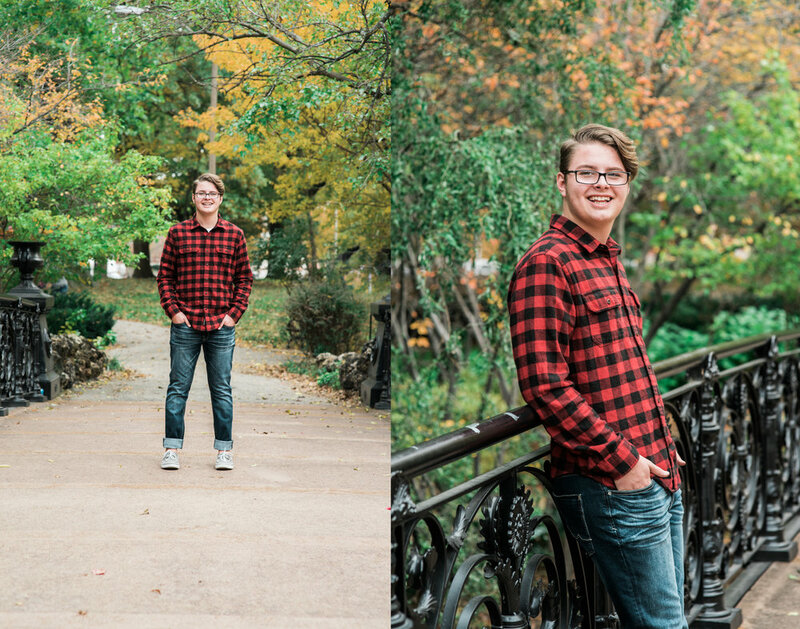 Cameron is a handsome, polite young man who I am so lucky I got to meet and work with. I can't wait to hear what he does in this world. Every so often I have clients ask if they can bring their fur babies for some pictures. I will ALWAYS say yes to that! Tyler brought his boxer Diego and it was magic. Tyler alone was pretty amazing and definitely born to be in front front of the camera. Plus I might start asking Tyler for wardrobe help because his outfit choices were ON.POINT for this session. This "Mom wardrobe" could totally use a make over! 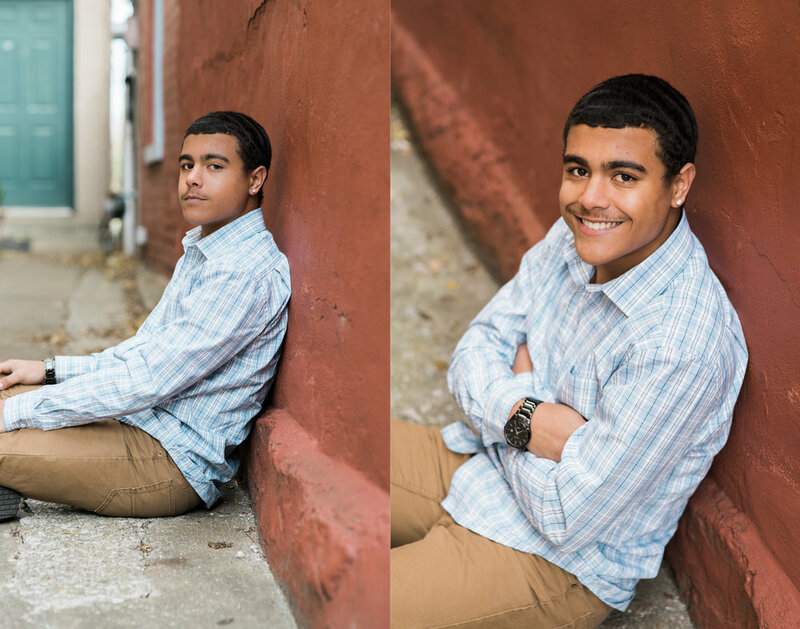 Tyler is loving his senior year at McCluer North. He will use his A+ program for the first two year of college and then hopefully fulfill his dream of joining his friends at the University. Mom is looking forward to having him around close for a few years. 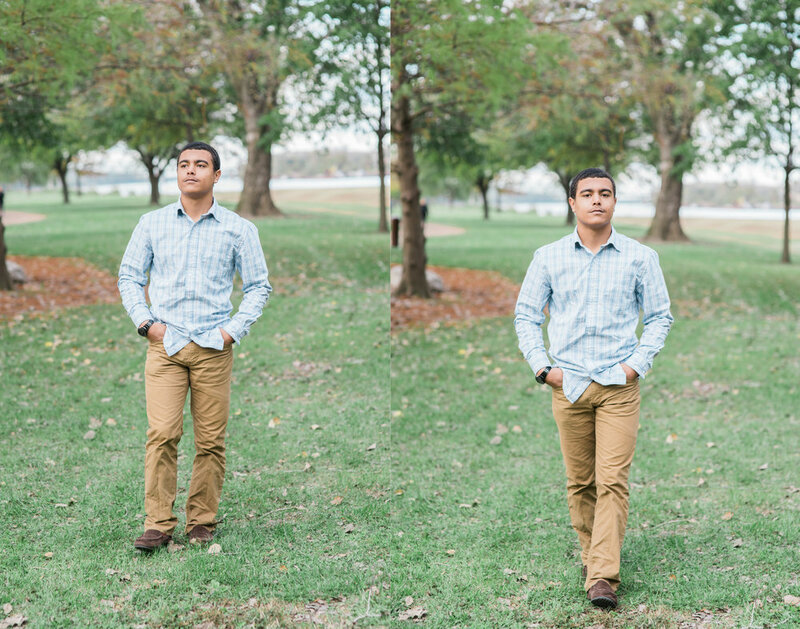 Lafayette Park was the perfect setting for this session as the colors were just perfect for this fall day. 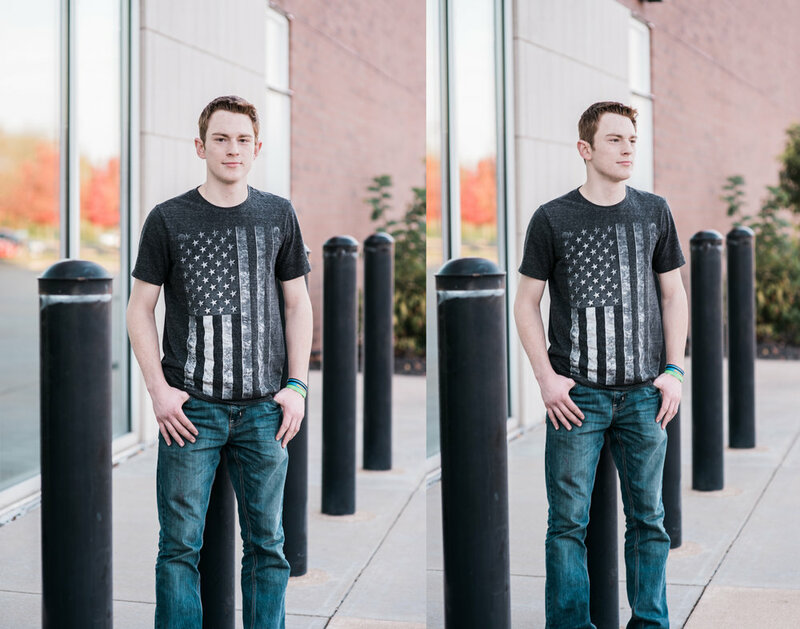 Mike is a senior at Fort Zumwalt East which is where we decided to shoot. The trees on their campus were stunning with bright oranges, red, and yellow. It was a photographer's fall dream! 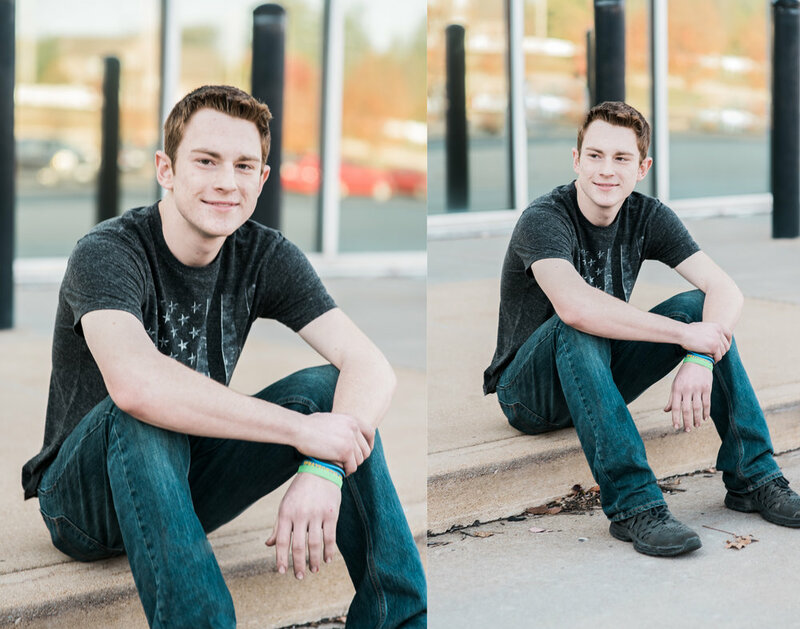 Mike is looking forward to joining the military as soon as he graduate, but he is really enjoying senior year while it lasts. 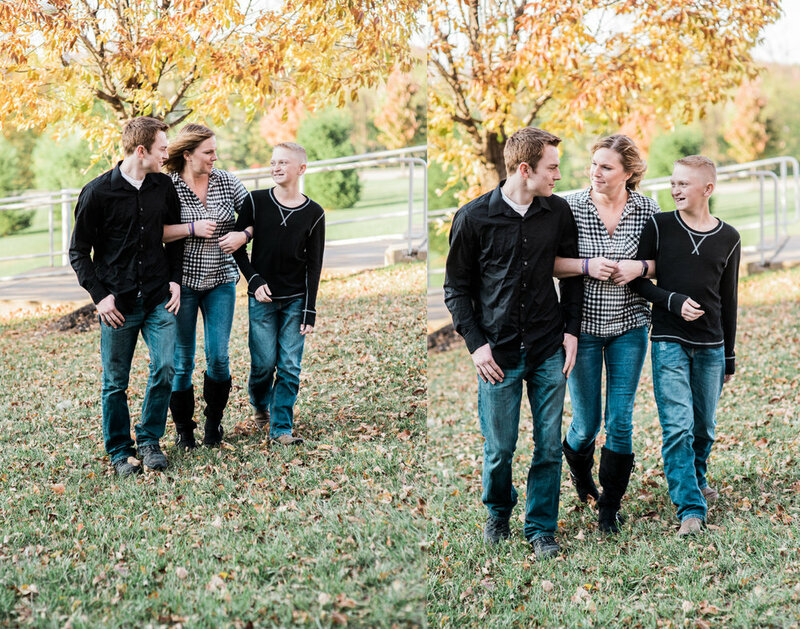 We also got to grab some family shots so Mom had some new pictures of her with her boys. I can only imagine how epic "senior year" is in the eyes of a Mom, so I always encourage a family shot. Jordan is a senior this year Hazelwood West & he said he is really enjoying it. He plays to use his A+ program and attend community college for two years. I went to high school with Amanda his mom & I also got to meet her two other boys. It was awesome getting to see where life has taken her. 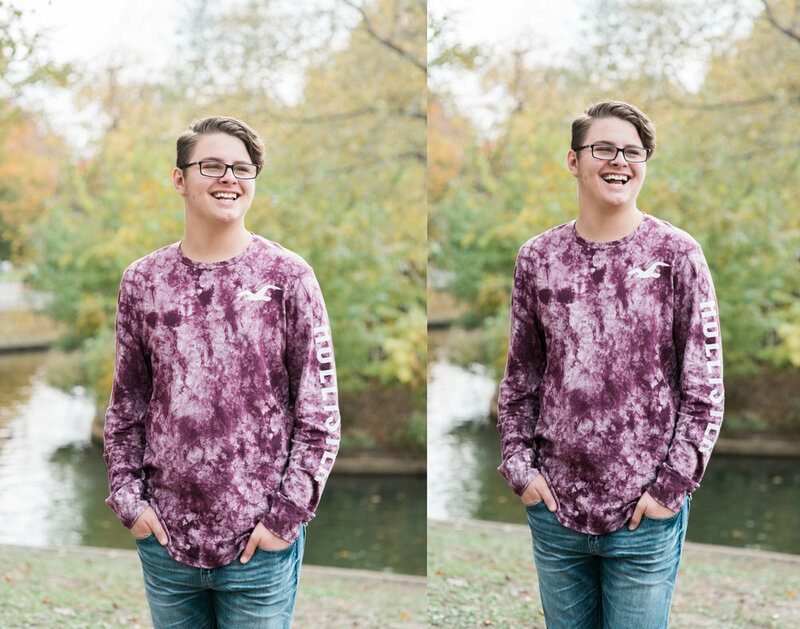 Jordan was so easy and fun to work with and that killer smile rocked these pictures. Thank you for hanging out with me and letting me capture this epic year for you!